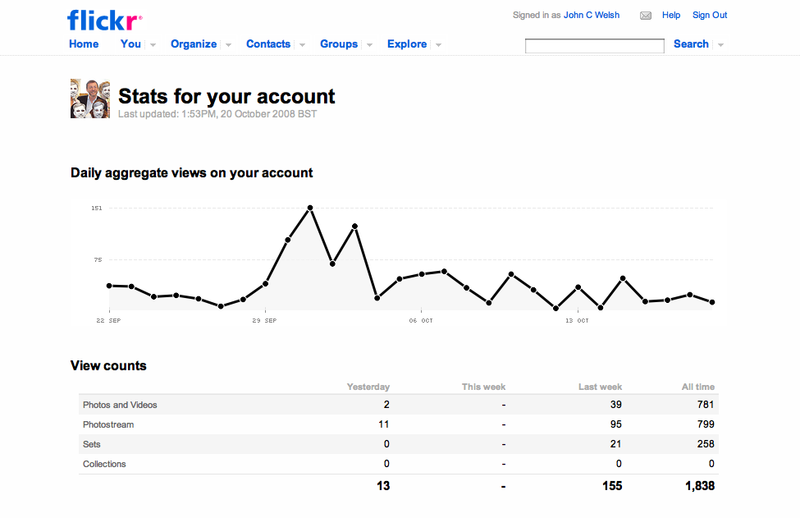 I am really impressed by the new stats functionality on Flickr. It appears as part of the redesigned homepage and takes a short while to upload (a matter of minutes for me). 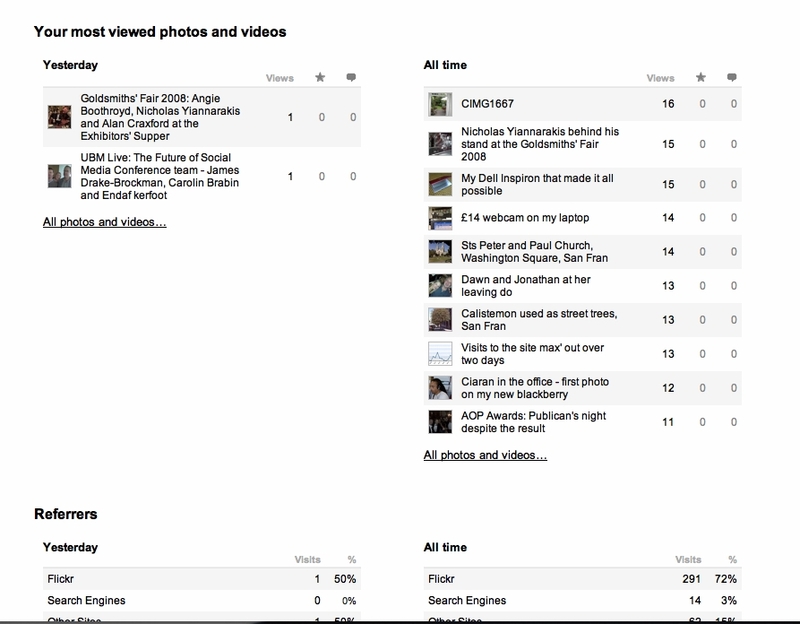 The level of information is far superior to the WordPress dashboard and is far closer to Google Analytics. Indeed it further reinforces my passion for Flickr. We talk of microsblogging with Twitter, Liveblogging with FriendFeed but Flickr is the ultimate in picture blogging – take the pictures, put them in a set, click on slideshow and you have a story as powerful as many words. Now, with the stats, you can begin to follow what works and what doesn’t. This entry was posted in New Media, Social media and tagged Flickr. Bookmark the permalink.